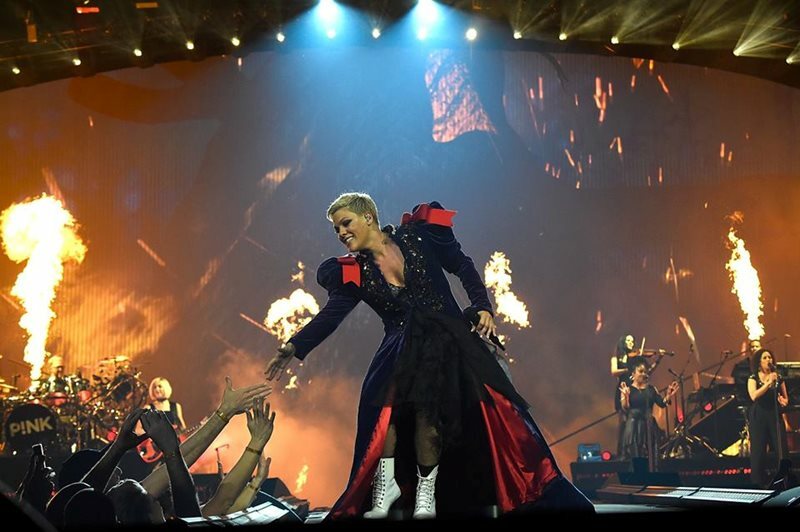 ENTERTAINMENT NEWS - Pop singer Pink was honored on Tuesday with a star on the Hollywood Walk of Fame, telling fans gathered for the event that it was “surreal” to receive the award. “I feel like I’m dreaming and if anyone pinches me, I’m gonna punch them in the left eyebrow,” the Grammy-nominated singer said at the ceremony, surrounded by her husband and two children. “Today for me is a celebration of something that my dad taught me and that is — to thine own self be true,” she said. “There is a power in believing in yourself, there is a power in not giving up on life and not giving up on yourself,” she added.